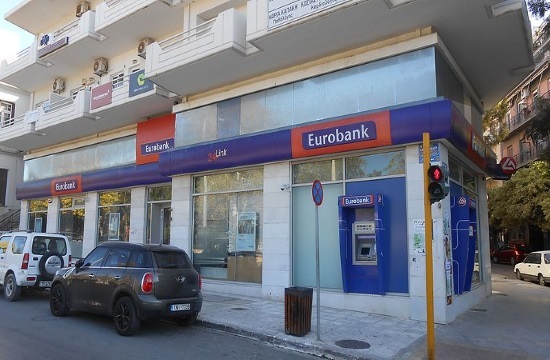 The mass sale of properties by banks is getting under way with Eurobank’s initiative for the concession of two major real estate portfolios with a total value of 120 million euros, ekathimerini.com reports. They contain residential as well as commercial properties, and their progress will be the initial test for the market of major real estate managers. Against the backdrop of a stable property market with some signs of price recovery, Eurobank’s move represents the first attempt at the mass liquidation of properties that are not associated with loans and are in the bank’s full ownership. It remains to be seen whether the fragmented Greek real estate market can attract the interest of major investment funds that might be interested in the group utilization of those assets mainly for tourism purposes through short-term rentals, the acquisition of the Golden Visa residence permit, or for use by students. Eurobank’s initiative forms part of local banks’ efforts to rid themselves of the massive stock of properties in their ownership, and is an indispensable part of the plans for the reduction of nonperforming exposures submitted to the European Central Bank’s Single Supervisory Mechanism (SSM) through the next three years. The two packages of assets Eurobank is putting up for sale are named “Opus” and “Star.” Opus contains 258 commercial properties with a total value of 88 million euros. They include offices, stores, industrial properties and warehouses, among others. Fifty-eight percent of those properties are situated in Attica. The bank has opened the data rooms for the package and nonbinding bids are expected by the end of the month. Star consists of 685 properties, chiefly residential but also some that are commercial. Half of those assets are located on the Greek mainland outside the areas of Attica and Thessaloniki, and bids are expected by end-April.